The investigation report from the School Planning and Coordination Division confirmed allegations were true and found out that singing, dancing and karaoke inside the MPH did take place on the nights of March 5 and 6. As per the investigation report, which was conducted between March 19 to 22, the party did involve sale of alcohol and that there were corners of bars and snacks. However, the report clarified that none of the teachers and students were involved in the preparation of the get-together. The general findings from the investigation report that Tendruk Gup, who is also the Dzongkhag Tshogdu chairperson, was the brain behind organising the party. But it was the Royal Bhutan Army who played a pre-dominant role organising a get-together. However, the school was involved in the provision of the hall, furniture and some audio-visual equipment for the party, reveals the report. 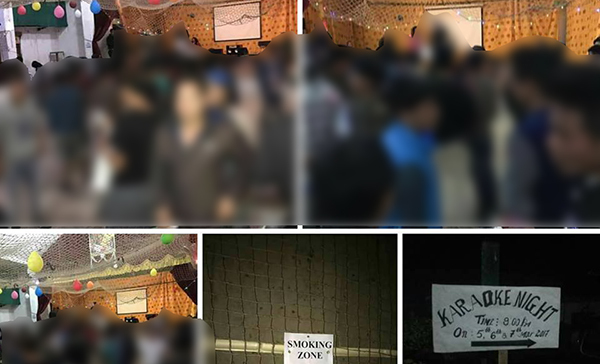 According to the reinvestigation, the team found out that neither the school management nor teachers were involved to decide for the approval to conduct party inside the school campus. The case came into limelight after a person shared a post on social media along with images of the party conducted inside the multi-purpose hall of Tendruk Central School.